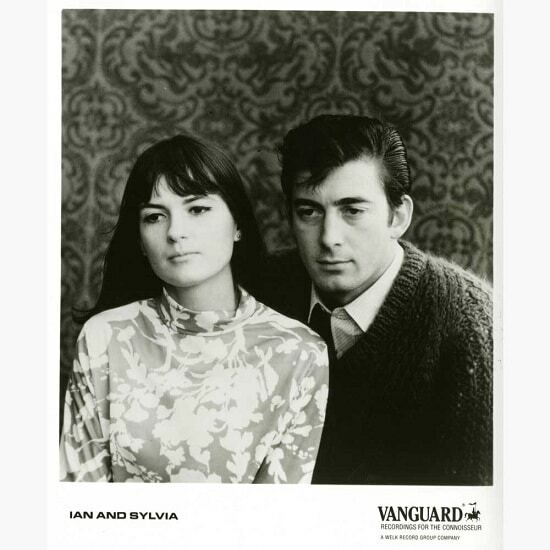 “Four Strong Winds,” written by Canadian singer-songwriter Ian Tyson and recorded by him and his then soon-to-be wife Sylvia more than 50 years ago, remains one of the most enduring songs of what was then the tail end of North America’s folk music revival. The song was both influenced by, and became and influence on, that movement, particularly in the United States. But it didn’t stop there, because a good song is a good song, and it was recognized as one by several bigger names who went on to record it. Some of these artists changed a word or two, maybe because they didn’t completely understand the singing or remember the lyrics correctly. In doing so they provided a great example of how changing just a single word can alter or dilute a song’s meaning. The original “Four Strong Winds,” which opens with a chorus, tells the tale of a relationship that’s on its last legs, saying more about dying love in two verses and three identical choruses than some entire romance novels. A top 10 single in Canada in 1963, it became the title song of Ian and Sylvia’s album the following year. Then it became a top 10 hit in the U.S. for country singer Bobby Bare, and in 2005 was posthumously released on Johnny Cash’s American V album. But it was perhaps most famously introduced to a new generation in 1988 when Neil Young recorded it, with the late Nicolette Larson singing Sylvia’s part, for his Comes A Time album. The song had impacted Young as a teenage musician who put nickels in a Canadian jukebox to hear the song over and over. “There aren’t many songs that I’ve sang (sic) that I didn’t write,” Young said about “Four Strong Winds” during an interview in the Bravo! network’s documentary about Tyson, Songs from the Gravel Road. “[The song] was very real. I don’t think you can get any more real than that.” Young’s version actually begins with the first verse instead of the chorus, and Young repeats the last three lines of the first verse after Ben Keith’s steel guitar solo before going into the final refrain. It’s a great arrangement. However, Young and other acts that followed changed a word here and there, enough to affect the meaning and significance of the song. The original is clearly a song about a failing, if not an already failed, relationship, evidenced by Tyson’s words But our good times are all gone/And I’m bound for moving on. But Bobby Bare and Johnny Cash both sing, But my good times are all gone instead of “our.” And Neil Young sings If the good times are all gone/Then I’m bound for moving on. These artists make the statement more self-centered or generic, and less of a song about a relationship that was shared by a couple. The melancholia of the original is lost in these cover versions with the omission of the word “our.” If Bare, Young and Cash changed this word intentionally, it’s hard to understand why. In Cash’s case, though, he was in poor health, and may just have been doing a remake of a song he liked that his friend Bare cut back in the old days. In the end, for my money, Young’s version is still the coolest because of the performance, arrangement and production. But if you want to go to the source and A/B some of these tracks, check out the original Ian and Sylvia track and compare the lyrical content. It’s a superbly crafted song by Tyson, who is still tending his horses and writing music in Canada, and no doubt still seeing an occasional check for having written a classic song.